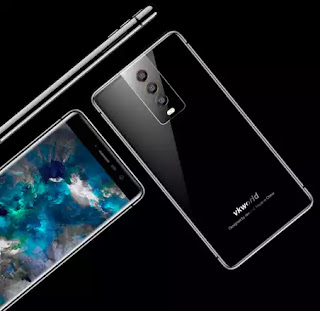 Home Phone Will Vkworld K1 Beat Huawei P20 To Be World’s First 3-Camera Phone? Will Vkworld K1 Beat Huawei P20 To Be World’s First 3-Camera Phone? Dual camera has been a standard feature for smartphones in today’s market. And with more demands for mobile photography, some company is even thinking to add more camera to smartphones. It is said that Huawei P20 is going to feature 3 cameras on the back. With more cameras, there seem to be more functions. Recently, another Chinese company Vkworld is also working on a 3-camera phone called Vkworld K1. The design is a typical metal frame with dual glass. But the rings around the cameras have different colors. And the metal frame is polished like iPhone X. The main camera is a 16MP sensor. And the second camera is for telephoto, which can support 2.5X optical zoom. And the third camera is for low light performance. The low-light camera will shoot 10 photos and combine them together to create a much clearer picture. It is the same way as Samsung Galaxy S9. The phone will feature 4G RAM+64G ROM, octa-core processor and also a 4000mAh battery. And Vkworld K1 will be released in the middle of 2018.